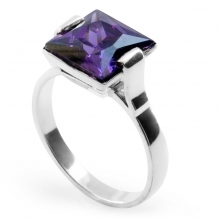 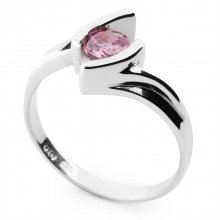 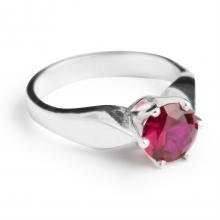 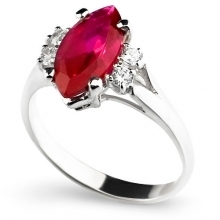 This gorgeous ring comes presented in a beautiful box, ideal for gifting. 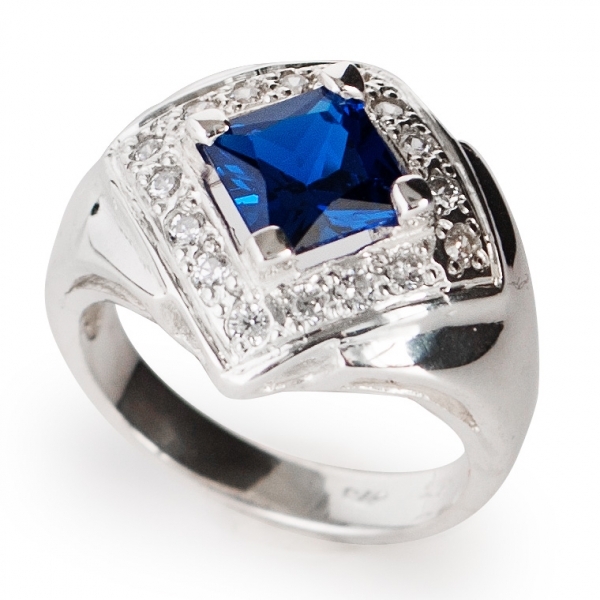 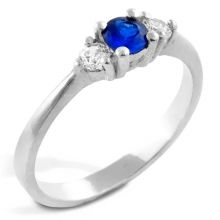 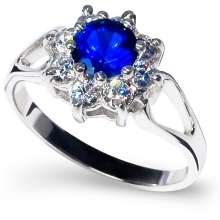 Crafted using rich blue sapphire and white cubic zirconia to add a splash of colour to any outfit. 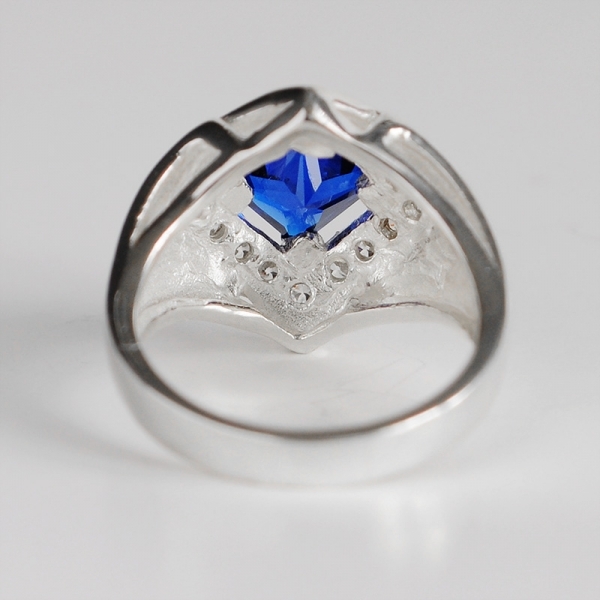 Created using hypoallergic 925 sterling silver for comfortable wear, especially for those with sensitive skin or allergies. 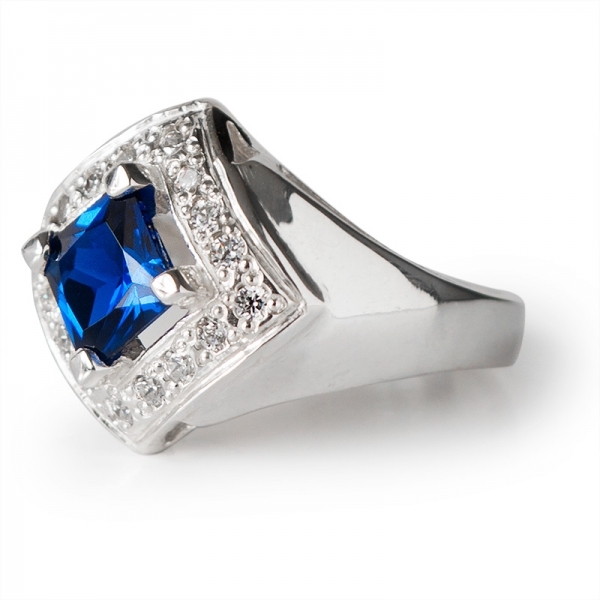 Bold and beautiful, this ring features a fabulous princess cut rich blue sapphire set at an angle in the center of the ring, accented by sixteen round white cubic zirconia stones. 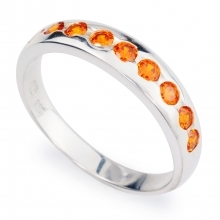 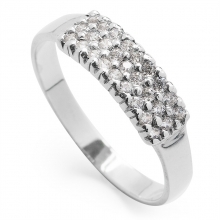 The ring has a wonderful vintage feel about it, with its eye-catching look. 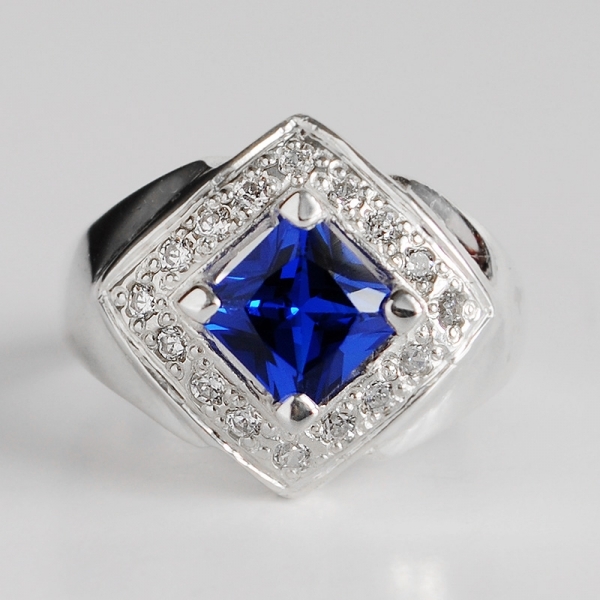 The center sapphire stone measures approximately 6mm x 6mm. 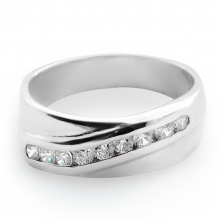 The band measures approximately 3mm thick at narrowest point and sits about 7 millimeters high off the finger. 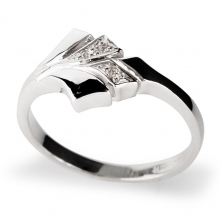 Finely crafted and hand-finished in sterling silver.